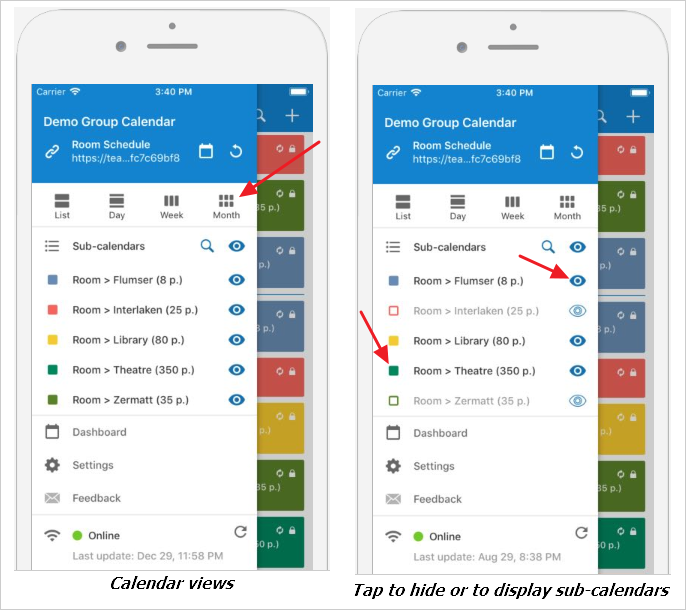 The Teamup App for iOS makes it easy to use Teamup Calendar on iOS devices. See also this tutorial to get started. Go to the App Store and download the iOS app to your device if you have not yet done so. 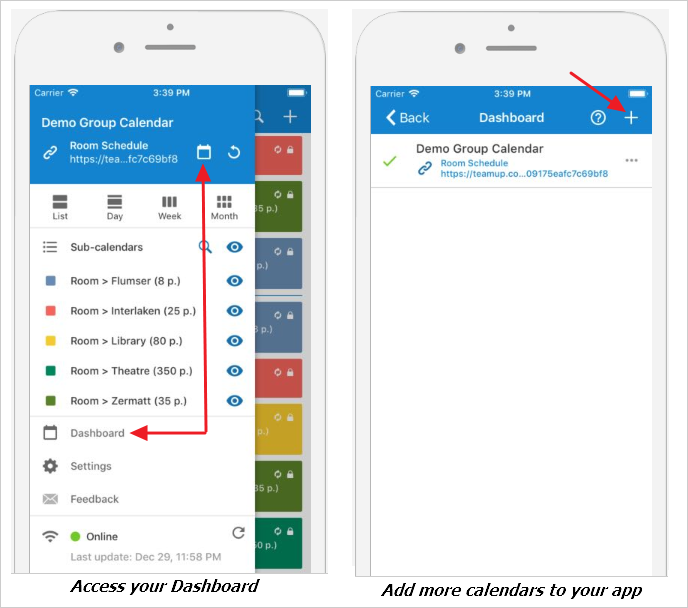 You can also find the Teamup Calendar app by searching for Teamup Solutions AG on the App Store. 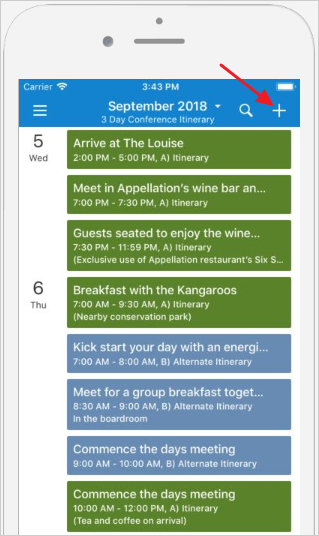 The Teamup mobile app is a companion product of the web-based Teamup Calendar. You need to connect your iOS app to a calendar link in order to use that calendar with your app. A calendar link is all you need to access the calendar on your iOS app. A calendar administrator manages all calendar links in the web version of Teamup Calendar. If you are not a calendar administrator, you may have received a link from the calendar administrator or another authorized user. The access permissions of your calendar link are managed by the calendar administrator who may modify or revoke your access to the calendar at any time. The Add Calendar screen will appear the first time you use the Teamup mobile app. 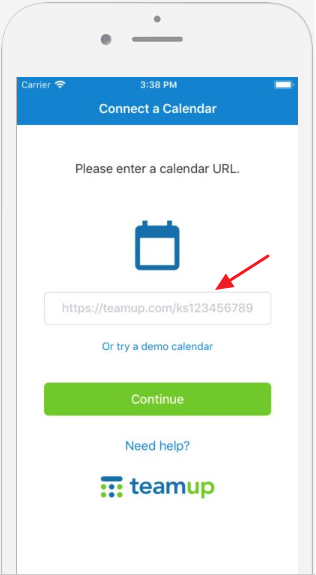 You can enter the calendar link manually or copy and paste a calendar link from your browser address bar, email, or another app on your device. You can enter your full calendar link or just the last part of it, which starts with ks followed by a 16-digit random string. Swipe to open the sidebar on the left. At the top of the sidebar, you can switch calendar views. Choose from List, Day, Week, and Month views. The list of sub-calendars is below the calendar view options. Tap the Eye icon to the right of any sub-calendar to show that calendar only. Tap the Eye icon to the right of the sub-calendar list header to show all calendars again. Tap any calendar name or its color square to show or hide that sub-calendar without changing the status of other calendars. From any calendar view, tap an event to view its details. Images attached to an event can be displayed right in the event view as shown below. Any files attached to the event will appear as clickable links so that you can open them directly from your mobile device. Addresses in the Where field are clickable and linked to Google Maps. 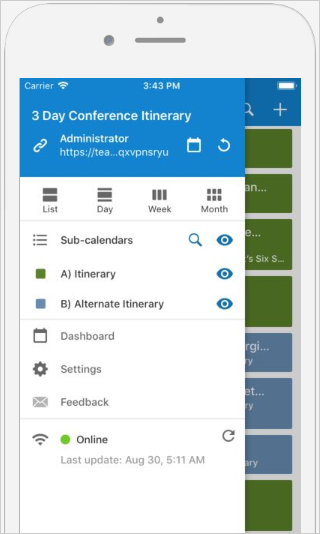 From your main calendar view, simply tap the + icon in the top right corner to add events. Or tap anywhere in the time grid to open the event editor to add a new event. To edit an event that has already been created, tap the event to view event details. If you have the appropriate access permission for an event, tap Edit in the top right to edit the event. You can modify the basic fields, including the text in the Description box. Create or edit recurring events. Enable or disable signup or comments for individual events. Edit custom fields, although they can only be set up by the calendar administrator in the Web version. Upload pictures from the Photos and the camera if your calendar is on a Premium subscription plan. The refresh button to manually refresh your calendar. The Dashboard icon to go to the list of calendar links. Calendar views: Currently supported views include List, Day, Week, and Month views. The color-coded sub-calendars of the current calendar. Tap a calendar to show or hide the sub-calendar, or tap an eye icon to show that sub-calendar only. Settings: configure time zone, display or collapse empty days, widget settings, and remove calendar links. Connectivity tracker: see whether you are currently online or not, and when your calendar was last refreshed. 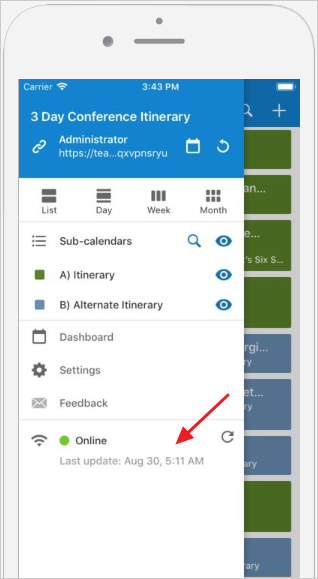 To access the Dashboard: Open the sidebar, tap either the dashboard icon in the top right or the text link below the sub-calendars list as shown below. On the Dashboard, tap the + sign to connect another calendar. Important to keep in mind: The iOS App’s Dashboard as shown above is currently NOT connected to the Dashboard accessible through a user account. 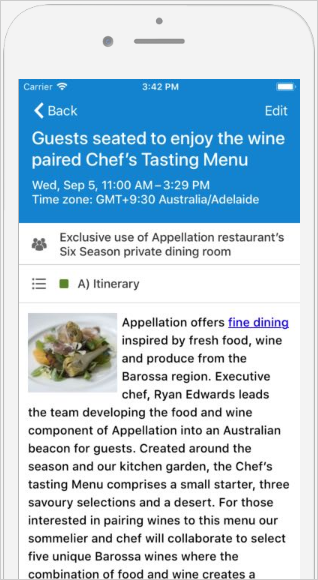 You can access your Teamup Calendar with the iOS app while offline. You will see the calendar data that was synced the last time you were online. This can be helpful if you need to access your calendar but are not connected to the Internet temporarily. Any changes made to the calendar during the time the calendar is not connected will be saved locally and synced to the server once the connection is back. You can view your connectivity at the bottom of the sidebar in the connectivity tracker.